Circuit Based Training provides a safe, controlled environment, where you can pass your motorbike test or driving test confidently. As a major racing track for bikes and cars since the 1950's, Mallory Park provides a unique experience for those looking to learn to ride or drive. The use of the race track enables each client to build confidence before taking to the road, gaining valuable skills and experience helping you to pass the test and enjoy the road ahead. Chief instructor Sean Hayes, with years of road and racing experience under his belt, ensures every client gets the most from their course. 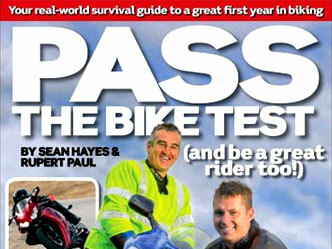 As a major contributor to national magazines (Bike, Ride, Motorcycle News etc) and author of "Pass The Bike Test", his passion for quality training is widely recognised. 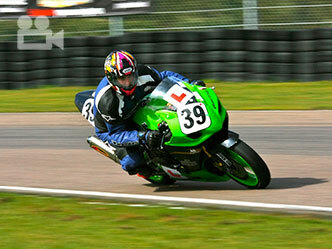 Our unique motorbike and driver training courses give you the confidence to pass your driving test with ease. Understanding vehicle handling in a professional, safe environment is demonstrated and practiced on track, to help all clients build experience, understanding and confidence. 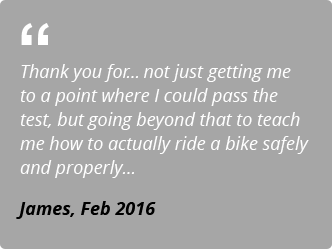 Over the last 20years, this has proven to be the safest and most effective way to learn, making this the most popular motorbike / driver training course in the UK. Our fully qualified DVSA instructors will accompany you on the road all the way through to you motorbike or car driving test, giving you the calm, logical instruction you need to pass first time. Motorbike training or driving lessons, you can choose a 4, 5 or 9 day course, so allow yourself enough time to learn safely, understand and enjoy. Look through the website to decide which course is best for you or call us on 01455 840645 to discuss your needs with one of our staff. We are here to help you.